This year has seen a steep rise in the number of UK landlords re-mortgaging their buy-to-let properties, according to one of the BTL sector’s biggest lenders, Paragon. After a survey with 201 mortgage brokers, Paragon found that 52% of their buy-to-let mortgage queries and cases in Q1 of 2018 were for re-mortgaging. This is a steep rise from the 29% of BTL re-mortgages back in Q1 of 2015, just before the announcement of the phasing out of the tax relief on BTL mortgage interest. The same period of time has also witnessed a drop in the number of mortgage applications from first-time landlords – the fall is from 19% to 13% of total BTL applications. There’s also been a fall in the number of landlords re-mortgaging so they have more funds available to buy new BTL properties – this type of re-mortgaging has fallen to 22% from 39%. Back in early 2015, there were almost equal numbers of landlords who were re-mortgaging for better interest rates as there were for more capital. In early 2018, however, the emphasis has shifted onto securing better interest rates, with 60% of landlords stating this as their main reason for re-mortgaging. 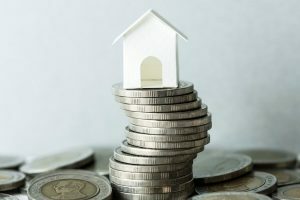 The number of landlords re-mortgaging to raise capital to expand their portfolios has fallen to 30%, so the gulf between landlords looking to secure decent interest rates and those looking to buy more properties is at its widest since 2013. There are several factors that are leading to landlords applying to re-mortgage right now. There’s the running out of the first terms of mortgages taken out before the stamp duty changes on second properties for a start. Then there’s worry over potential rate hikes coming in the future, as well as a need to lower the amount of money spent on interest so that applications pass the stricter new affordability tests. All in all, it seems that the BTL sector is facing challenges, but that savvy landlords are finding ways to meet them.